Getting there: Head south on MoPac well past Town Lake. Turn left on William Cannon and then right on Brodie Lane. Head south on Brodie and then turn right onto Deer Lane. The preserve is a few blocks down Deer Lane on the right. Look for parking along the wide shoulder of the road before it narrows just past the preserve. The Hike: The trail starts at the waypoint marked "Trailhead" just off of Deer Lane. Here stands an informative display showing the features that exist in the preserve and why it is important that they be protected. The start of the trail features an informative educational display. The first section of the trail is compacted dirt that makes for easy going. Towards that back of the preserve the trail turns more rocky but remains relatively easy to traverse. Almost immediately after starting the hike the trail turns to the left and the first karst or sinkhole comes into view. Wade Sink is so close to the trailhead that the map for this hike does not bother showing a separate waypoint. 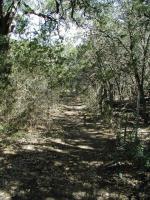 The trail between the three karsts is flat and well shaded my numerous oak trees. The Goat Cave Preserve was set aside to buffer some of the ecologically sensitive karsts in the area from the housing that is surrounding it more and more. 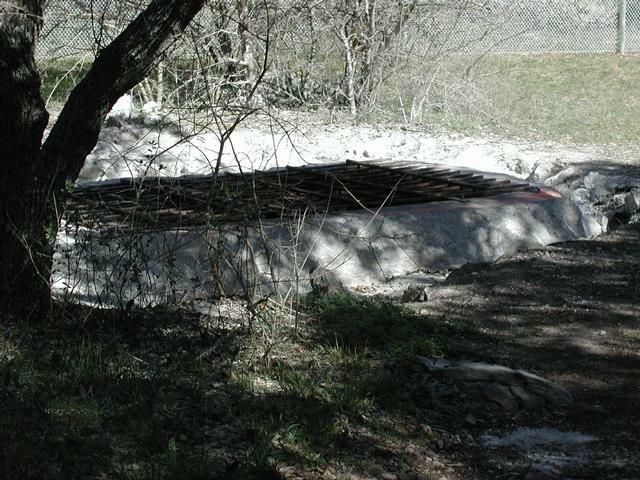 Karsts are caves that feed directly into the Edwards Aquifer below ground. 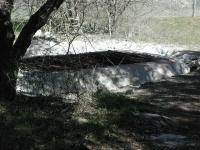 Any trash or runoff that washes into the karst stands a good chance of eroding the quality of a water source used by many people in Central Texas. 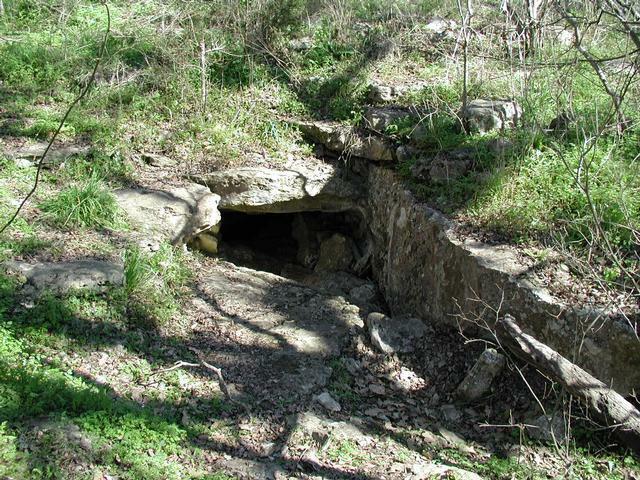 This cave has been known to shelter numerous animals inhabiting the preserve. 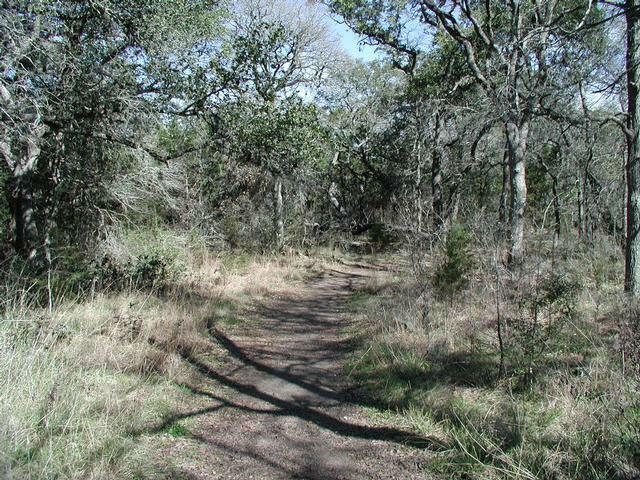 The trail heads towards the north through numerous Oak trees that populate the area. On this day we were treated to a large number of Mourning Doves who kept a close eye on us but even more so on the stray cat that we saw dart into the brush. A second cave along the trail is marked by the waypoint "Cave". 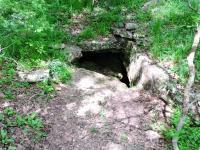 This cave is known to serve as habitat for some of the local wildlife, including a possible fox. While no barrier exists, access to this cave is strictly prohibited to provide refuge for the animals that inhabit the area. Through gaps in the protective fence this is the best view one can get of Goat Cave, the largest karst in the preserve. 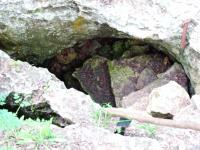 Farther up the trail is Goat Cave, the main karst in the area from which the preserve draws its name. This cave serves as the home of a colony of bats and the city has started to take steps to restore the karst to a healthy environment for them. Years ago, in an effort to keep people from falling into the 28 foot drop at the entrance a large metal grate was placed over the opening. The problem with the grate is that the spaces between the bars are too small to allow easy bat movement to and from the cave. The city's solution is to put up a fence around the perimeter of the karst. Presumably the grate will be removed at a later date. It's a good solution, but the fence surrounding the karst uses a chain link material that's so thick that it's hard to get a good look at the cave entrance. 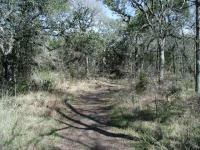 The trail in the back half of the preserve is more rocky, but still easy to navigate. The trail continues north past Goat Cave and the going becomes a bit rockier. 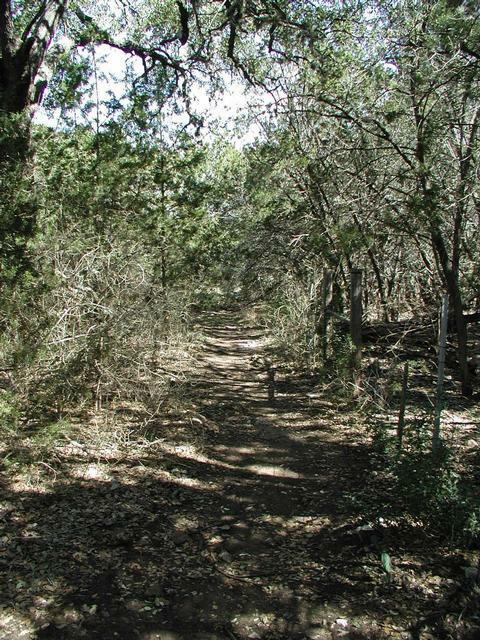 Much of the remainder of the path follows along the preserve's western boundary which is marked by a barbed wire fence. 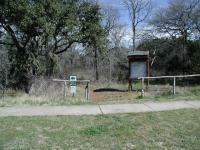 The end of the trail occurs at the waypoint "Turnaround". Here the trail empties into a residential rain water retainment basin. The hike continues along the exact same path back to the trailhead. Goat Cave Preserve provides a short, easy hike ideal for beginners, those with children and those wanting to find out more about the Edwards Aquifer and geology of Austin and the surrounding Hillcountry. The trail can be hiked within 30 minutes including some time to wonder at the karsts the preserve protects. The hike's solitude rating is a tough one to gauge. While we saw no one else on the trail it's hard to say one achieves any level of solitude. Houses back up within 100 feet of the trail at times. The sound of auto traffic and even air conditioner compressor units reminds the visitor that while they have stepped out of the human world for a moment, they have not travelled very far from it. Saw the Goat Cave, the fence, and a large dog.... sadly no Goats. This was a hike I went on as part of a day of geocaching. Enjoyed it very much. I'd hiked and documented this trail before, but forgot to actually log my hike! Went back to check on a virtual cache sign and decided to make it official this time around. Went to check out the cave and hike a nice afternoon walk. There isn't a lot to see here, Goat Cave is fenced in, and impossible to really see, and the other two sink holes aren't much too look at either. It's a nice hike if you are in the area, or live in those homes.